Turkey may not be a totalitarian state, but the streets of its capital city are reminiscent of one. 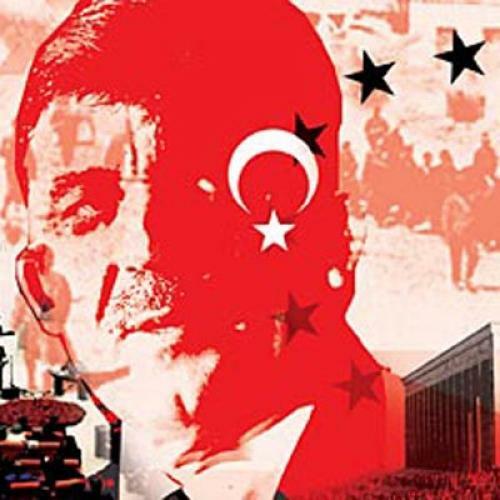 From tall buildings around Ankara hang enormous, colorful posters of the country’s founder, Kemal Ataturk, presenting an endless variety of noble poses and natty costumes. Here he is resplendent in a military uniform, there sporting formalwear with a white bow tie, here a dandy with a vest and a pocket watch—and always looming several stories above the street. His face also adorns every Turkish lira. At the enormous mausoleum built in his memory, all the clocks are permanently stopped at 9:05, the moment of his death in 1938, and nearly all of the country’s major landmarks—the international airport, the Olympic stadium, the grand boulevards—bear his name. This attitude was a headache for Barack Obama to begin with. And then, last month, the small matter of genocide came along. Barack Obama is personally far more popular in Turkey than George W. Bush was. But Turkey’s political leaders may be warier of Obama than they were of his predecessor. The reason: Obama’s stated belief that the Armenian killings were, in fact, genocide. As a candidate in 2008, Obama—influenced by his foreign policy adviser Samantha Power, who takes a passionate interest in the question—vowed that he would be the first American president to officially say as much. But, once Obama was elected, that idealism was quickly snuffed by realpolitik. At the urging of other foreign policy advisers (and reportedly to Power’s dismay), Obama concluded that taking a moral stand wasn’t worth the trouble Turkey could make for U.S. strategic interests. Instead of pressing the genocide question, Obama has helped to broker a set of protocols between Turkey and Armenia, calling reconciliation more important than adjudicating the past. But Congress marches to its own beat. And a powerful Armenian-American lobby in certain key districts and states, like California, has managed to keep alive genocide resolutions in the House and Senate. Despite the stated opposition of the Obama team—including Clinton, who, as a senator, co-sponsored the same resolution but has recently traded her appeals to historical justice for talk of strategic partnerships—the resolution may have enough support, including from Nancy Pelosi and Harry Reid, to pass both chambers of Congress. Resolution supporters also don’t have to contend with the opposition of Jewish-American groups, which, in past years, have lobbied against the measure on behalf of Israel’s ally, Turkey. Those groups have grown quiet ever since Turkey’s fierce condemnation of Israel’s Gaza offensive. All this has the Turks in a fury. Not only did Erdogan recall his ambassador and threaten to cancel his trip to an international nuclear summit Obama is holding this month, he also chillingly suggested he might consider deporting 100,000 Armenian residents living in Turkey. One former diplomat to Ankara told me he’d never seen the Turks so angry with Washington. Unfortunately for Obama, he happens to need a big favor from the Turks right now. A sanctions regime that might actually stop Iran’s march to a nuclear weapon will require help from many reluctant nations, most notably China and Russia. But Turkey would be an enormously useful ally, both with its Security Council vote and with the political cover that the condemnation of a country with a majority Muslim population could provide. Into this mix comes the genocide debate, which has poisoned the U.S.-Turkish dialogue about Iran. When I met with the foreign ministry’s Yenel, I asked whether it was true, as I had been told during my visit, that some Turkish leaders believed the Obama administration didn’t fight harder against the Foreign Affairs Committee’s genocide vote because the resolution might offer useful leverage over Turkey’s position on Iran. Obama officials deny this: “We have no interest in using these votes as leverage or messages or anything else to Turkey,” Gordon said in a recent speech at the Brookings Institution. But the question prompted a knowing smile from Yenel. “It came to our mind,” he said. The suspicion cuts both ways, of course. To the United States, it seems that Turkey may be playing hard to get on Iran until the genocide issue is put to rest. Obama is due to issue a traditional presidential statement on April 24, the day Armenians commemorate their disaster, although few observers expect him to invoke the G-word. In late March, meanwhile, Hillary Clinton personally assured Turkey’s foreign minister that Obama remains opposed to the congressional resolution, a pledge that has led to the Turkish ambassador’s return and word that Erdogan will now visit Washington this month after all. The grim truth for Obama may be that, far from playing games, Turkey is quite sincere on both fronts. Turkish pride remains an extremely fragile thing: Those laws prohibiting insults against Turkishness, after all, are not for show. It’s easy to understand, meanwhile, why Turkey would prefer to tread lightly around Iran. Given the growing indications that the West lacks the power to block Tehran’s path to the bomb, Turkey has little incentive to join a losing effort that may only antagonize a neighbor that may soon wield nuclear weapons. The story of Obama’s troubles with Turkey may also be a story of America’s weakened position abroad in the post-Bush years. Like other growing regional powers, such as Brazil and India, the Turks are stretching their legs in a world where American influence is at a low ebb. Defying Washington makes leaders look powerful at home while bringing few real costs. If he were alive, Ataturk, whose great historical achievement was to orient Turkey toward the West, might lament that his nation isn’t in closer sync with that hemisphere. But he would have to admire Turkey’s ability to make an American president treat it so gingerly.